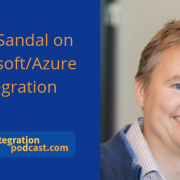 I had the great pleasure of talking with Paw Sandal Pedersen, who is an Microsoft Integration expert at a danish company called Bizbrains. Paw is very experience working with Microsoft integration technologies and I think it was very interesting to hear his oppinion on topics like BizTalk Azure, Logic Apps, Microsoft Flow and EDI. We did have a talk about BizTalk. It have been evolving much like SAP PI for the last long time. Microsoft have not wanted to say a lot about the future of the product, as they wanted more cloud usage. Now they have released plans of a 2019 version to give customers support for longer duration and the ability to integrate more with the cloud. We talk about Logic Apps. It is Microsoft Serverless technology that allow you to only pay for the number of actions you perform. This is a new way of making integration possible. It allow integration to get to smaller organisations and run there. It is fairly simple to start creating the Logic Apps, but you will need to know how to process documents in the way that is most effecient with regards to the license of pay per action. For some customers the license model is better, where as for other project a BizTalk solution is better. There is also the Flow service, which allow business users to create Logic Apps without much knowledge on the background processing. So a Citizen integration approach. One of the products that Bizbrains have is a tool to help with EDI partner management just like the B2B Add-on called Link. I can see it gives a number of features in a more user friendly way, like partner management, documents tracking and easy creation of new EDI agreements. Often this is more or less only for developers or It Admins. It is possible to integrate with SAP using BizTalk SAP Adapter or Logic App SAP Connector, but there is currently no possibility to use SAP PI/PO as an engine for transformation and transport of the documents. If more customers ask then it could be relevant. Many customers talk about API is the way to go but if you have 300 partners it can be a lot easier if you can follow one common approach for handling your partner integration. We also talk about the Peppol a new standard for exchanging e-Invoices with European governments and also businesses. It contains the option to lookup partner information and then uses it for sending the data to providers. It will be interesting to see how the adoption of it will be. 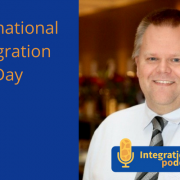 We discussed that and other topics during the Integration Podcast. It was interesting to see how much Microsoft and SAP is looking when viewing their approach for integration. I had a chance to meet Vadim Klimov at #SITCPH two weeks ago. Vadim is an Integration Architect at ARM. We got to talk a lot on integration and what was going one. I have been looking a lot on Vadim blogs on sap.com like the SAP PI adapter logging or the dark side of Groovy Scripting. 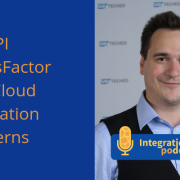 I talked with Vadim Klimov about how new tools have an influence on the way we work with cloud integration and how flows for different scenarios can help us understand the integration with SuccessFactors using SAP CPI and a prem PI. I’m currently involved in a project where we are using OData V2 to access SuccessFactors data. There are some challenges involved with it. We need some workaround to be able to see information about people starting in the future. In The Integration Center in SuccessFactors, their are many options, when you are looking for filed-based integration. The interface is web-based and allows business users to easily create files. Vadim is using the CPI and PI to move the file to their own landscape. We also talked about how they do error handling in CPI and what makes sense in that perspective. The process works differently than in PI, so you must understand how it works best there. At Figaf we are improving the capabilities to monitor, test and support your CPI systems, so you can get notifications about what is going on. We also cover Groovy development, as I would like to understand Vadim thinking on the area. It was a very interesting conversation which I hope, you will enjoy. Tuesday, November 13. 2018, I just hosted a webinar about the key takeaways from SAP Teched and how to implement things based on it. It thinks it was one of my own webinars with most viewers (40). So it is an important topic. I think I missed the Gartner quote that 50% of the development budget will be about integration or something in that line. A few months ago I shared a little about the IFG survey and the big event that we have planned for SAP Integration. A two day about what is happening with all SAP Integration. It is arranged by the Swedish SAP user group SAPSA taking place 5 to 6 November in Stockholm. 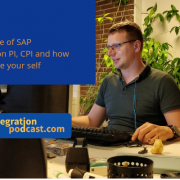 In this episode I’m talking with Pontus Borgstrom Integration Architect at SKF and board member of SAPSA. One of the reasons that I think it will be cool is there is quite a number of presentations from partners and SAP customers about their projects. I think this is where you will learn what is going on in the market and your pears is doing. SAP will also be presenting a lot of what they have been doing and their roadmaps. There will also be plenty of time for networking get to talk with fellow integration developer or architects to hear what they are doing. There will also be some hands-on sessions (with some cloud systems) or demos that show something of what is going on with the integration. It is an event focused on SAP Integration, so if you are interested in integration this is the event to go to. You can register at the link below. If you are a part of your user group the price is just 100 EUR per day. I do hope to see you there. I’ll be presenting some sessions on how to speed up your development sessions. The cool thing about SAPPHIRENOW, which is SAP’s biggest event focusing on the business value of SAP software. From an integration standpoint, there was a lot of interesting perspectives. So I created a webinar where I was covering some of the big change happening and what I believed people should start considering when working with SAP Integration. Integration is going to be a lot more complicated over the next period of time, so you need to figure out how to position your SAP PI/PO system vs the Cloud Integration system. For SAP to be successful they must enable customers integration. So there was a big focus on integration. 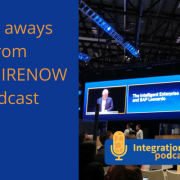 Some of the topics covered in this podcast are S4 Integration, API management, SAP Cloud Platform, Open Connector, SAP Cloud Integration, prepackaged content. In this episode, I’ll share some of the different ideas and techniques that I have seen at customers locations. Integration services are so important to the business that you must find a way to run SAP PI/PO all the time. It is one of the key things to consider how you can make a good distribution of your system and the workloads. And also be able to support the upgrades/patches as well as configuration as easy as possible. In the podcast, I mention some different setups they can be combined with a different setup to suit what you want to achieve and how it is best for your organization. One installation on multiple instances or server nodes. This is SAPs way of scaling the system. They are all linked but allow you to restart single servers or instances and distribute among the servers. You cannot specify where an integration should run. Decentral Adapter Engine. Where all systems are connected to one central system that allows you to distribute workload and just have one place for configuration. Preprod failover. Where you are using your reproductive system as a way to have a hot-hot failover. It does require some extra configuration of the scenarios on the PreProd system but gives you some benefits if you want to switch to it. If you have another idea please post a comment below then others can learn from it. I’m really pleased to welcome, for the first time, one of my old colleagues in the SAP world onto the show. 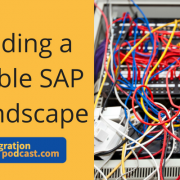 We’ve covered a lot of ground over the last 12 episodes but today I want to discuss the SAP Cloud Connector. 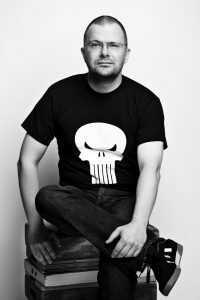 To that end I’m joined by Morten Wittrock an SAP technologist based from KMD in Copenhagen, Denmark. Morten and I started working together back in 2005. His focus has gradually shifted towards SAP Cloud Platform so he is the perfect person to talk about the Cloud Connector. Morten is one of the top experts on the Cloud Connector. 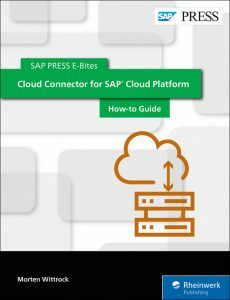 He’s literally written the book on the subject titled Cloud Connector for SAP Cloud Platform: How-to Guide. Cloud Connector exists to solve a problem created when a company combines their on-site SAP system with the Cloud Platform. Accessing the Cloud Platform from the on-site system is not a problem. But the reverse is more difficult. The on-site system sits behind several firewalls and is not supposed to be accessible from the internet. 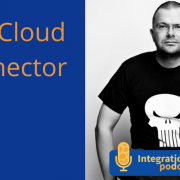 You can win Morten’s book, share the podcast with Hashtag #Integrationpodcast on LinkedIn, Facebook or Twitter, then I’ll draw two winners of the limited edition of the Cloud Connector book in paper format. The benefit of Cloud Connector is that you don’t have to allow any incoming traffic. The software is installed in the DMZ between your innermost and outermost firewalls. Cloud connector will open a TLS encrypted tunnel to the SAP Cloud Platform. From that point on whenever the Cloud Platform needs to access the on-site system, it will utilize that tunnel. Cloud Platform continues to add new features. The most recent 2.11 has increased the number of APIs dramatically. There is also created a proof-of-concept command line tool for Cloud Connector which uses some of the functionality of the APIs. Morten really likes Cloud Connector. It’s a very useful tool despite being only a small part of the SAP system. Today we’re going to return to the subject of testing and look at another case study. 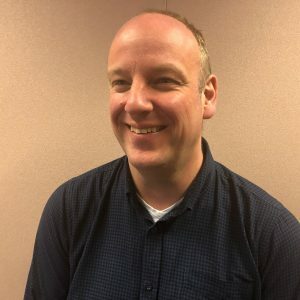 This time we’re joined by Pieter Atling who recently worked on the SAP PI/PO and webMethods upgrade at AkzoNobel As the test manager Pieter executed several kinds of testing including regression testing. At the beginning of the project, Pieter was asked to find a tool that could handle some automated testing. At AkzoNobel testing middleware is a huge task as this is for most of the companies. Over the last couple of years many interfaces have been implemented. The company uses SAP PI mainly for application to application A2A interfaces. 500 interfaces are being run over the system. The company needed to implement automated testing in order to better improve the system. Pieter downloaded one of the earliest versions of Figaf’s IRT to implement regression testing. Besides regression testing with the IRT tooling also end-to-end testing is done to make sure the interface is working as it should work. The expectation is that with the help of the tool upgrades could be done more frequently so that only regression tests have to be done combined with some manual testing done by the technical teams and that the user is not involved or just limited involved. But Pieter thinks as the use of this tool becomes more commonplace there will be more confident in it’s use. 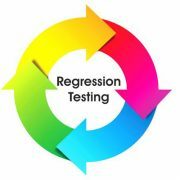 The approach how regression testing is done with IRT, is more or less the same as the approach followed for regression the webMethods platform that is also used by AkzoNobel. Pieter feels the tool is really useful for fast growing companies who depend on SAP PI for their delivery process. Without a good regression testing tool problems with SAP PI can become a bottleneck. Convincing the development team to use the IRT was fairly easy because of it’s ease of use. Kishore Nanda is an integration expert who has worked with SAP for many years. 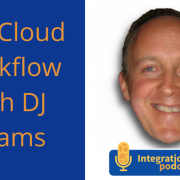 In this edition of the podcast, we discuss his experience with SAP PI and Cloud Integrationas well as Dell Boomi and Mulesoft. He has been working on various integration solutions using a variety of platforms. Too often professionals develop myopic focus on SAP without paying attention to other solutions like Boomi and Mulesoft. As a person coming from the SAP ecosystem, it is interesting to hear what is going on in the world outside. Dell Boomi offers a cloud application that includes interfaces that can be deployed throughout the cloud. The can have instances running on servers that can use in multiple deployment options. Atom Cloud, for example, allows for the same instances running in multiple places which allows for load balancing and offers very high reliability. Boomi also offers predefined content very similar to SAP. My interpretation is that it depends on the supplied APIs and how they work. Mulesoft have a full integration suite that supports the same things as SAP PI/PO with ESB, API management, and Workflow/BPM. It design approach is different for the integrations. 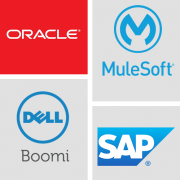 Kishore says the best reason that an SAP PI user should consider using Boomi or Mulesoft is licensing and how they integrate with a specific system. The key point is that Boomi allows you to deploy an optimized solution for those customers who don’t want to move all of their systems onto the cloud. On the downside, Boomi and Mule have a greater learning curve because of their reliance on more programmatic language.